We received an email from expat Erin Wolgamuth who wanted to share her experiences living abroad with the Global Living community. Every time you are a fish out of water, you get to know yourself a little better, from another angle, in a different way. It’s as easy to make assumptions about yourself as it is to make assumptions about the world around you; when the latter breaks down due to circumstance, the former starts to chip away as well. Then you’re forced to reconsider and reinvent. It’s exhilarating, confusing, exhausting… and worth it. If I’m allowed a second answer, it would be relationships: colleagues, family, friends, etc. I have met lots of people who’ve made such an impression, and I’m continuously grateful for that. I often wish I could bring compatible individuals together from my lives in different countries and cultures in some impossible and fabulous communion—because I know that they would get along famously, or fall in love, or perfectly share a sense of humor. It’s a huge pleasure and blessing to know and learn from so many people. There are lots of challenges, and for me the apparently “small” ones are the hardest. But what’s blindsided me over the last few months has been the heat here in Bamako, Mali—I’ve never known heat so relentless and intense, or worked in it (no air conditioning). Averaging 110°F over the last several weeks (not even the peak of the hot season! ), and it’s super arid, no rainfall, etc. as we’re a bit south of the Sahara. I work in an office in the capital city as well as in rural villages, and the biggest respite is the couple hours of AC in the car while in transit. It’s hard to focus at work, hard to keep energy up, hard to do much outside of work, etc., in heat like this. I’ve registered an Official Note To Self: I am a cold weather person, through and through. Will have to remind myself of that wherever I head next! Various cities in the US, the Caribbean, Ecuador, and now Mali. I’ve enjoyed all for different reasons. I don’t think I’ve found a favorite yet. For some reason, I’ve had my eye on Scotland for a couple years now. We’ll see how that pans out! I wouldn’t mind a gig in South America, either. I am slowly accumulating elements of “home” that have proven enduring over years of travel. Home happens through the senses: Jazz music (bebop, which miraculously proves a fitting soundtrack for any setting), the smell of lavender or pine or fresh rainfall, beloved radio voices, crisp apples (great variety here in Mali, really! ), and other tidbits that put me at ease, anywhere. The brilliant thing about travel in the modern world is the ability to carry sound with you wherever you go; I find certain music or other audio things help me re-draw my lines and find myself again if I start feeling blurry or smudged by the challenges of negotiating identity in a new context. Living abroad is a constant negotiation—sometimes in your favor, other times seemingly not. But it should be a journey within even more than a journey without. Sometimes expats pack themselves in a cultural bubble a mile thick, to stave off all that is complicated, messy, scary, and hard. But in the end, it’s their own growth that is stunted. I guess I’m saying (as I’m learning): embrace it all. The good, the bad, and the delicious. 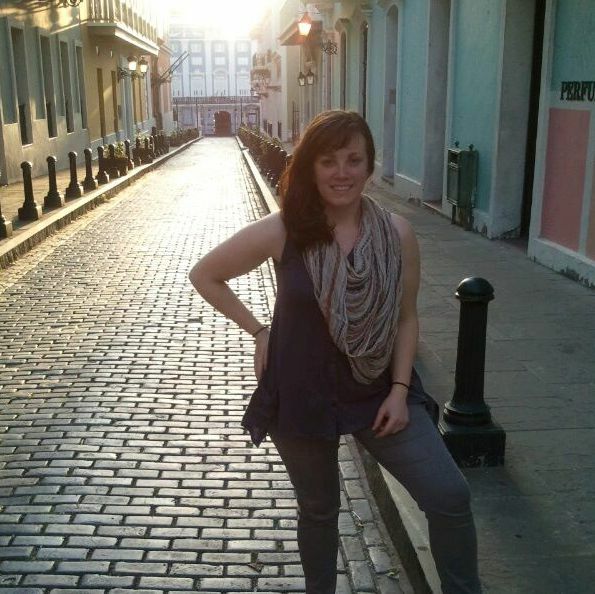 Visit Erin’s blog, www.outernotes.wordpress.com, where she writes about her life abroad. 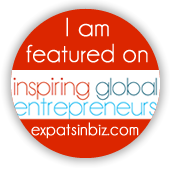 If you’d like to be featured on our “My Expat Story” section, send an email to us at info@globallivingmagazine.com and tell us about your experience as an expatriate and/or global citizen. Don’t forget to include your Twitter handle so we can help you connect with other expats from around the world!